Oceanographer, environmental scientist and explorer at Scripps Institution of Oceanography. 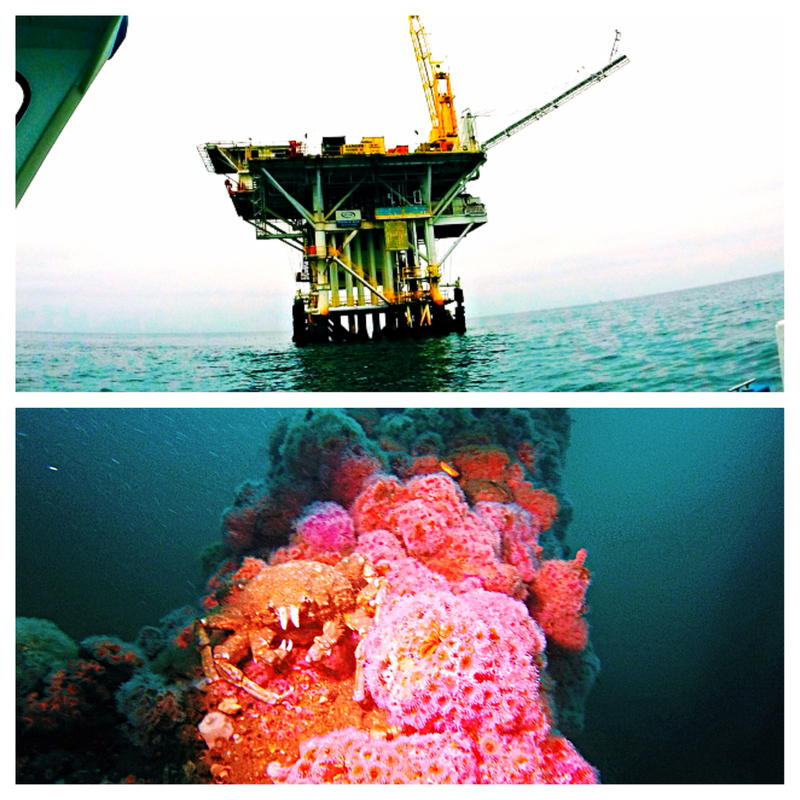 Amber Jackson and I at Rig2Reef Exploration believe that there are many sides to any issue, and the complications associated with maintaining an oil and gas platform as an artificial reef site is no exception to the rule. Thus, it is important to research and gain understanding into all viewpoints in order to come up with the most effective solution. To gain perspective on the opposition, we interviewed Ms. Linda Krop, Chief Counsel for the Environmental Defense Center (EDC) whose current view point is that the Rigs to Reefs program is an ecologically, economically, and politically ineffective program for the state of California. "What are some of the primary concerns/thoughts (as a representative of the EDC) with the Rigs to Reefs program in California?" According to Linda Krop, one of the primary concerns of the EDC regarding the R2R initiative is that the political and legal infrastructure currently in place in California lacks the precedent to properly manage an offshore oil and gas platform as an artificial reef. Krop goes on to note that "we're not talking about a program like the Gulf of Mexico". In the Gulf of Mexico the oil companies select and designate sites where the ecosystem would benefit from an artificial reef in order to address a specific issue, such as the development of a recreational fishery. Whereas, in California she notes that "they just want to leave them (the platforms) where they are. Which doesn't make any sense, because the state is not selecting appropriate locations based on need." Krop explained that California does indeed have very good artificial reef guidelines, however, "they are completely inconsistent with the platform decommissioning proposal" when it comes to creating habitat, the types of fisheries involved, and how the site would be designed. "The whole point of the artificial reef program for the state through the department of Fish and Wildlife, is to enhance productivity" and with the current state of the R2R decommissioning process in California, "that's not the point, the point is to have these guys (oil companies) save a lot of money." "Does the EDC support research that these structures harbor life as an artificial reef?" According to Krop "even though there are some platforms that do have life around them, that's because they're in operation so they have a constant feed stock of new, live shells. Once these platforms are decommissioned and toppled, they're not going to have the same attraction for sea life as they have now." In addition, experience shows that once these platforms are decommissioned, "piles of debris are left behind, they call them shell mounds, and these shell mounds are contaminated." For example, in 1996 Chevron was required by the state to remove four of their platforms; in the aftermath of their removal Chevron left behind huge mounds of debris and claimed that "they were creating habitat, and that they were not toxic at all." Krop disagreed. Thus the EDC insisted that the state study these 'mounds,' and found that these sites had become dead zones. Core samples revealed that all four sites harbored very toxic chemicals and the EDC's main concern is that at some point, these chemicals could get displaced by either human factors, or natural factors such as earthquakes. "Regarding the removal of these platforms, the question remains -- what do you do with the leftover scrap metal? One option that has been suggested, in response to the negativity associated with the four platform removals in the 1996, was that we ship the scrap metal off to China or another country more willing to accept this metal and process the waste. However, there has been expressed concern regarding the carbon foot print associated with that, as well as the moral aspect of dumping our waste into someone else's backyard. What is the EDC's view regarding alternative options for removal?" "You know, we don't have the answer to that yet, and that's one of the things that we want studied," Krop answered truthfully. She went on to state that currently, removing the platforms presents only some short-term impacts, air quality and loss of habitat. However, the long term effects of the platform removal is just an unknown as the long term effect of keeping the platform in place. "Because of the way the platforms have been slated to be decommissioned, i.e. the top 85 feet of the rig removed, what are some concerns that fisherman have in terms of navigation and gear entanglement? When the four oil platforms were removed by Chevron in the 1990s, the remaining debris mounds were marked with buoys, however Krop explained, that this method was not successful and that these buoys would routinely disappear, by either sinking or being accidentally severed. Additionally, Krop told us, "Some fishing boats did tangle their gear, it could have been really serious, and there were even some claims filed". In response, Chevron agreed to equip the fishermen with GPS units on their boats to enable them to evade the debris mounds. However, the EDC remains concerned about the "long-term safety and legal liability issues associated with marking these (buoys) as navigational hazards." In conclusion, Linda Krop and the EDC give us at Rig2Reef Exploration a new perspective on the Rigs to Reefs program, and what it could mean for California. Maintaining an oil and gas platform as an artificial reef site is bound to be controversial, especially when faced with the realities of offshore energy development. The Rigs to Reefs program remains a viable force to be contended with in light of the complexities associated with responsible decision making regarding the ocean and its resources. To learn more about the Rigs to Reefs program visit us at http://www.rig2reefexploration.org or explore on our Instagram @rig2reefexplorers.